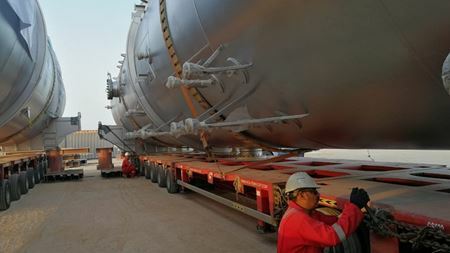 The large-scale 3-phase horizontal separators are for one of the largest country gathering centres in the Middle East. 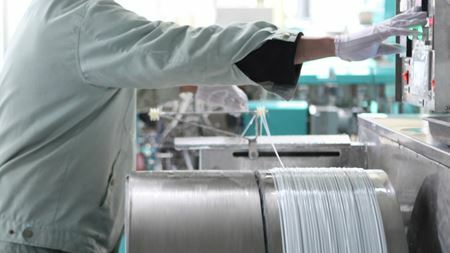 The chemical resistance of Solvay’s Solef PVDF was a key factor. FDA approval and NSF/ANSI 61 compliance. The nitrogen generators are the latest addition to Atlas Copco's range. A Memcor® low-pressure membrane filtration system will be used for pretreatment. Inaqua will represent PolyCera's membrane products in 25 countries throughout Europe, the Middle East and North Africa. The Cityzens Giving project delivers clean water towers, WASH education, and sports and leadership training to communities in Bangalore, India. The Loftrex Nylon melt-blown depth filter cartridge is designed for high temperatures and chemical exposure. The ceramics adsorption filter minimises fouling of RO membranes. The Online Brine Platform will help to promote reuse of secondary raw materials and water. Dr Jinwen Wang previously served as PolyCera’s director of product development. Venkee Sharma, CEO of US water purification technology Aquatech International, will serve a two-year term. Teck Resources Ltd selects IDE Technologies to design and supply the desalination plant for the Quebrada Blanca Phase 2 (QB2) project in Chile. Eaton’s extended MAX-LOAD filter bag range, which includes two new filter bags in pleated and melt-blown coreless design, will be on display. Keynote speakers will discuss trends and opportunities in the region. The project will focus on developing graphene technology that can be used for enhanced water filtration. Aqua Membranes has developed a patented process to print dimensional polymer shapes directly on flat sheet RO membrane. JP Air Tech installs a new glue line at its manufacturing facility in Sakskøbing, Denmark. The VR experience helps customers understand the benefits and correct usage of air filtration. Eclipse Magnetics will display its magnetic separation systems. Environmental consultancy Aqua Enviro has partnered with scientists at Industrial Phycology to evaluate the potential uses for algal biomass. Fluence receives a US$1.7 million contract from an international beverage producer and longtime repeat customer for their production plant in Argentina. Pentair plc closes its acquisition of Pelican Water Systems in a US$120 million cash deal. US medical technology company Conmed Corp completes its acquisition of Buffalo Filter LLC from Filtration Group. Chris Plotz will lead, direct and refine INDA's educational and technical activities. AFS members receive significant discounts on conference and short courses. The decanters are for a municipal wastewater treatment plant in the US. The adaptor allows the use of Porvair junior filters where a locking adaptor is required. Infection technology for hospitals, schools, food preparation and other high risk traffic areas. Albuquerque-based Miox is a manufacturer of on-site generators for water disinfection. The rise in toxic brine from desalination, our top 10 filtration business stories of 2018 and how Mann+Hummel and Microdyn-Nadir are fighting pollutants. Andritz will convert JSC Volga's existing groundwood reject line in Balakhna, Russia into a TMP (thermo-mechanical pulping) line. Outotec secures €12 million order to provide filtration technology and services for a lithium processing plant in Australia. Part of the company's expanded portfolio of water purification membranes. Magnetic particle separation removes pollutants from the wastewater at the same time as the sludge is dewatered.